View our full details and dates on our Girona Cycle Tour page. Conquer the Classic Climbs of Girona on this 7 day, all inclusive tour. Enjoy beautiful climbs in this unique region and discover the roads used to train on by many professional cyclists in the World Tour peloton. Test your legs on Rocacorba, Els Àngels, San Grau, Sant Hilari Sacalm and Mare de Deu del Mont. 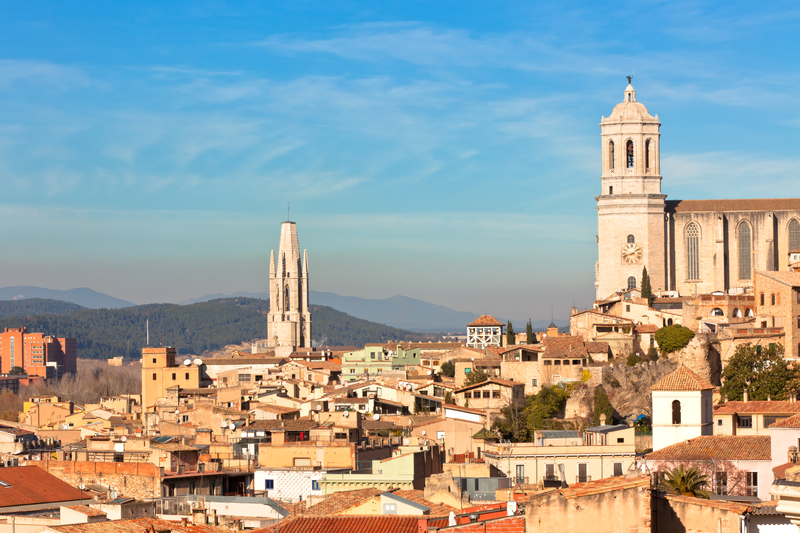 Stay in the centre of Girona, a Catalan city fast become the centre of cycling in Europe and enjoy the delicious food, culture and atmosphere of this unique place. On an Eat Sleep Cycle tour all you have to think about is enjoying your ride. Our trip support is second to none and we pride ourselves on a high staff-guest ratio. We take care of everything so you can savour the ride of a lifetime. This is a flexible itinerary offering riders the opportunity to extend or shorten the ride depending on their fitness level. Groups of 8 or more riders are eligible for a 5% discount per person. Feel free to contact us at info@eatsleepcycle.com with your request.